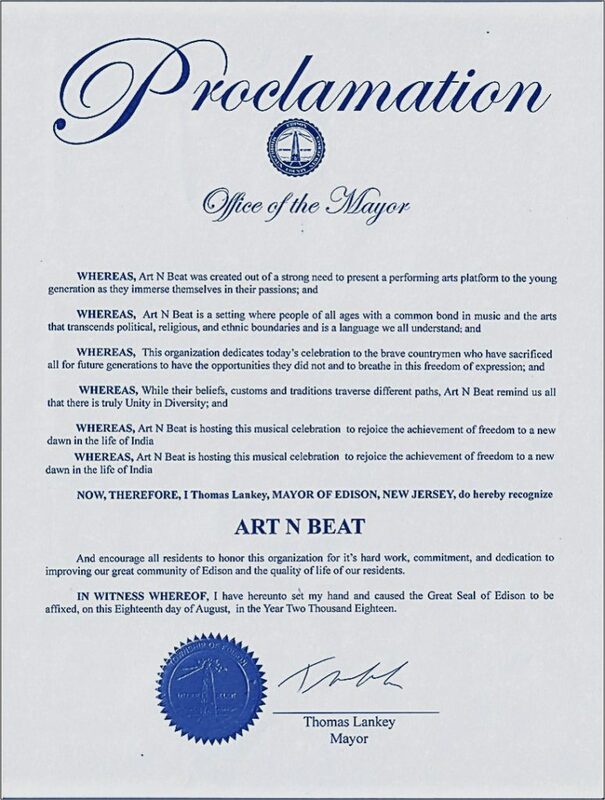 We would like to thank Mr. Thomas Lankey, Mayor of Edison Township and Mr. Ajay Patil, Council President (Edison Township) for recognizing Art N Beat. 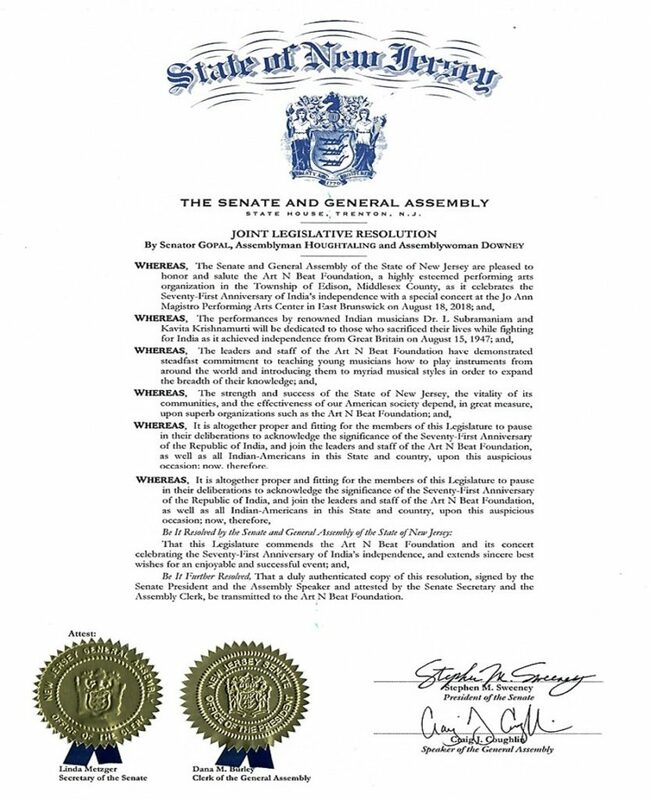 We would like to thank Senator Vin Gopal (District II Monmouth), Assemblyman Houghtaling and Assemblywoman Downey for recognizing Art N Beat. 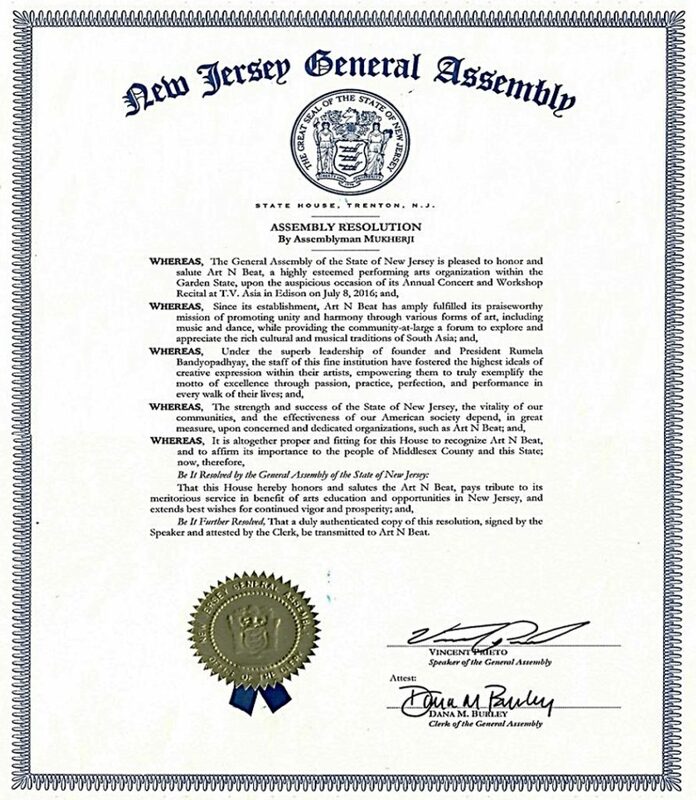 We would like to thank Assemblyman Raj Mukherjee for recognizing Art N Beat.